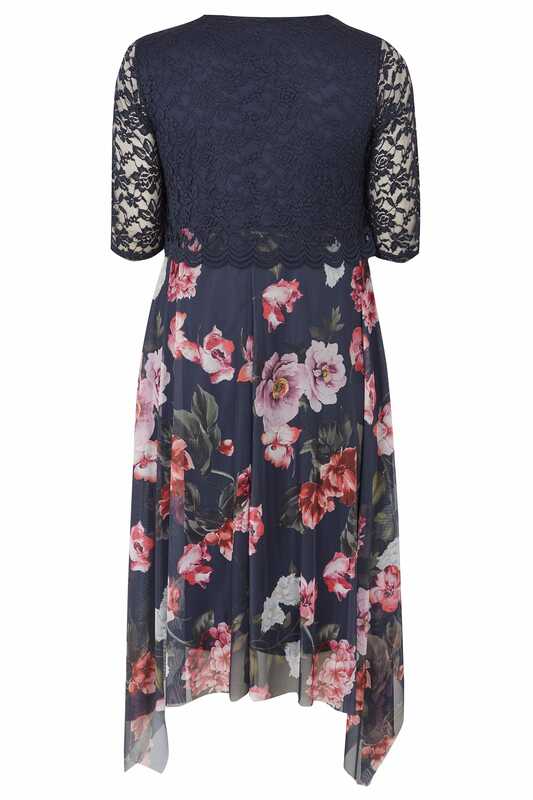 Exuding timeless charm, this elegant dress is the ultimate option for special occasions. 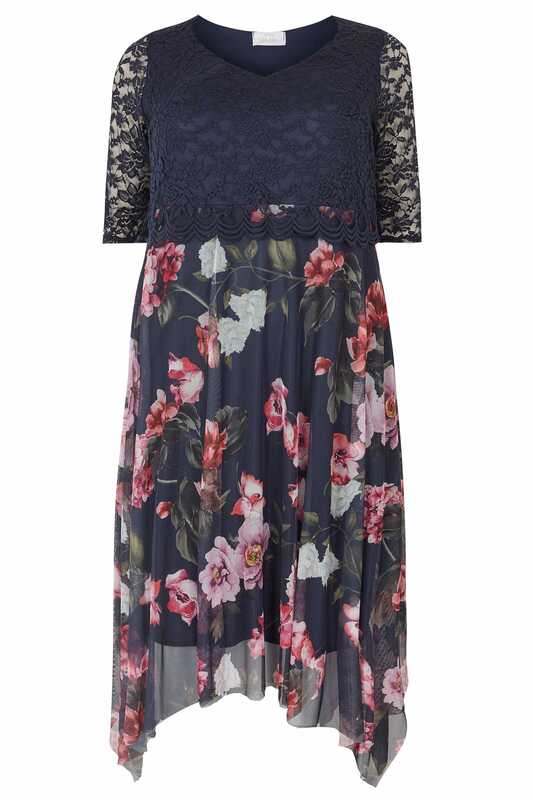 Flattering at a midi length with an asymmetric hanky hemline, it boasts a floral mesh skirt with a jersey lining and a floral lace upper showcasing a feminine v-neckline and 3/4 length sleeves. Complete the look with a pair of high sandals and an understated clutch bag. Serving as the perfect party piece, its alluring style is a must-have this season.